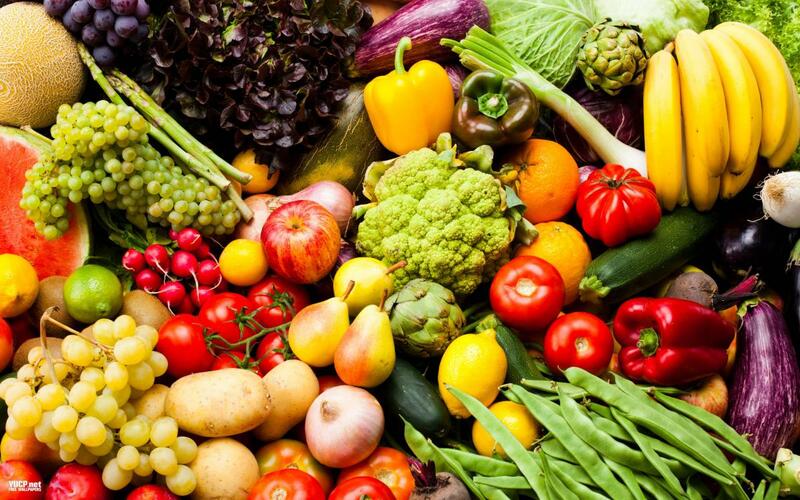 The role of fresh fruits and vegetables in nutrition is well recognized and in recent years, Kenyan consumers have increasingly embraced healthy diet options, therefore consuming more of fresh fruits and vegetables. Fruits and vegetables contain micronutrients, fibres and plant proteins which are important for daily diet, and therefore are integral to a diversified nutritious diet. This coupled with a growing population and middle class segment, is increasing consumer demand for variety and availability. While it is important that the domestic consumption of fresh horticultural produce continues to increase, negative food safety reports linked to fresh fruits and vegetables in the domestic market, in the last three years, threatens this and efforts at domestic level are therefore essential to resolve these food safety problems. Since 2014, there have been quite a number of mentions based on sampling and testing by academia and researchers of pesticide residues, heavy metals and pathogenic micro-organisms on fresh fruits and vegetables especially in Nairobi. The reports cited the presence of Calcium Carbide in ripened bananas, mangoes and oranges and heavy metals (Lead and Cadmium), pathogenic micro-organisms and pesticide residues in leafy vegetables. Horticultural produce gets contaminated on and off farm and therefore food safety interventions are required along the entire value chain. Poor production and handling practices have resulted in contamination by harmful bacteria and fungi. On the farm, micro-organisms enter the value chain through the use of contaminated surface water used for irrigation and application of incorrectly composted animal manure. The rise in urban population has driven up peri-urban production and use of waste water in farming due to the rising scarcity in irrigation water which has further elevated the risk of microbial contamination. Weak enforcement / implementation of good agricultural practice in production also provides a loophole for indiscriminate use of (fake) pesticides by some farmers. Other food safety hazards and mostly microbial, originate during storage, transportation and retailing, as a result of poor hygiene and handling practices. The use of tables or platforms is limited, and it is not uncommon to find produce in informal markets placed on the ground and on walkways, in contact with dirt. It is not unusual in some markets to find garbage bins or waste piles next to traders selling fruits and vegetables. Furthermore, unscrupulous suppliers and traders also use chemicals to hasten the ripening of fruits like mangoes and bananas. Actors in informal markets rarely have formal training in food safety, and few are aware of food safety risks related to the produce that they sell, and regulations that apply to their activities. While formal markets such as supermarkets and green grocers are more organized, most sourcing teams and food handlers at the points of sale lack the requisite food safety knowledge. Traceability principles are in most cases partially applied at best. The source of produce in many cases can be identified but growing andproduction details are inadequate. Supply chain parties are unable to link outputs to production information like field locations, seed, fertilizer, spraying details and detailed harvesting information. Food safety in horticultural produce in the domestic market is an area that needs strategic interventions. The value chain approach to food safety and quality recognizes that the responsibility for the supply of safe produce is shared by all operators involved in production, processing, trade and consumption of food, including regulatory support. Chapter 3 of the draft National Food and Nutrition Security Policy 2011, addresses food safety and quality. The objective of the policy is to ensure safe high quality food by creating public awareness on relevant issues, setting, promoting and enforcing appropriate guidelines, codes of practice standards, and regulations. There are twenty (20) Acts of Parliament that govern food safety and the responsibility of ensuring food safety is shared amongst seventeen (17) government ministries and regulatory agencies. The National Food Safety Co-ordination Committee was therefore established as an inter-ministerial body to increase food safety and quality awareness and initiate revision and harmonisation of the relevant Acts of Parliament. Co-ordination amongst regulatory institutions however has been weak. This coupled with inadequate resources and technical capacity to manage effective surveillance has led to quality inefficiencies and exposure to food safety risks for domestic consumers. A national commitment to healthy and safe food systems goes beyond regulations; it requires an integrated approach by public and private sector actors. As private sector companies strive to produce safe and quality produce, government should provide appropriate guidelines and surveillance led by the Horticultural Crops Directorate (HCD), Department of Public Health (DPH), Ministry of Agriculture Livestock and Fisheries (MOALF-Crops Department) and Kenya Plant Health Inspection Services (KEPHIS). Robust and sound national governance and appropriate and co-ordinated food safety surveillance systems are required across the food chain in order to translate standards and regulations into effective food control systems. There is need to establish appropriate protocols to protect consumers in the domestic market from eating produce contaminated with pesticide residues, heavy metals and harmful micro-organisms. Both public and private sector should promote enhanced awareness and adoption of practices to prevent and mitigate such hazards. Markets should progressively be organized and formalised, and resources and manpower provided to support the realization of food safety. Training and certification schemes guided by Part II of the Code of Practice for the Horticulture Industry- Fruits and Vegetables KS 1758: 2016 will help the formalisation of the sector. Investing in storage and cold chain facilities will reduce produce perishability and improve hygiene conditions, therefore maintaining quality and minimizing food safety risks related to food spoilage.